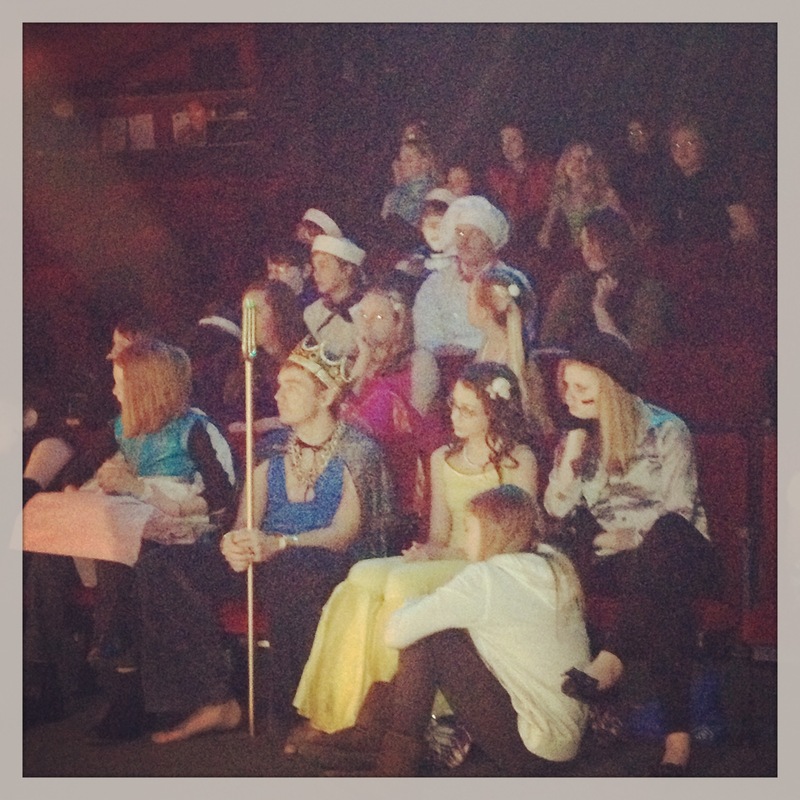 Week 2 has been largely dominated by The Little Mermaid Jr. at OKTC. Between working in the office and running the show, plus trying to navigate the craziness downtown with the World Figure Skating Championships going on, things have been hectic. I completed the morning pages all seven days, although on Tuesday I didn’t write them until after 5 pm, because I slept late that day (well, I had to get up early to be at the theatre by 8 AM, but didn’t allow myself enough time to complete them). Tuesday was not my finest day, I’ll admit. I felt incredibly crabby and stressed and brain-cluttered. I find that I’ve been using the morning pages a lot for “I’m looking forward to…”, “I wish…”, and “I should…”. All those statements seem to indicate (to me, at least) thinking about the future, but being unsatisfied with the present. I was also writing a lot about Mermaid, of course. …Although I very nearly skipped out of it. I relented and asked my mom to take me to Michael’s craft store today, and we browsed and shopped for about an hour and a half. I got a hole punch/eyelet setting tool (I want to make a paper bag scrapbook like this one), as well as three rolls of this amazing map-print ribbon that I found in the clearance section. Each roll rang up at ONE CENT EACH. I have no idea how that happened, but I do know that I probably should have bought more rolls! I’m glad I didn’t skip out on the artist date. I know they are supposed to be a solitary activity, but I’m glad I was able to spend some time with my mom, and get ideas for future projects. It was nice to not have to think about the show for awhile and just relax. Thoughts: Again, I completed some, but not all, of the exercises in this chapter. One thing that kept coming up over and over in different ways was work/life balance, which I seem to have very little of lately. Since September, I’ve gone straight from teaching T.A.G. to working on Edward II to working on Mermaid, with no breaks. It’s been busy! There is a show I wanted to audition for, but I decided not to audition because if I tried to mash in another show between working on [THEY FIGHT!] for Fringe, I’d probably lose my mind. I really need to focus on working on one project at a time that I’m really, really passionate about. I need to become more selective in the projects I take on, theatre-related or not. I’m not Superwoman! I’m just a mere mortal, who is tired. Next week’s theme is “Recovering a Sense of Power.” Can’t wait! Little Mermaid in the London Free Press! One chapter ends… another one begins! Take your time. Wait. It will come. And yes, the Mermaid cast is adorable.